A new music store opened in Selinsgrove on March 2nd. Selinsgrove needs a music store since all the other local music stores have closed and there are a lot of local musicians who need a place to go, according to the owner Nathan. Some people showed up on opening day to check it out. “The closest one is very far away so I think that Selinsgrove really needs a new music store,” Nathan told the News. “There are a lot of talented musicians in the area,” he said. The stores sells all kinds of instruments and supplies. “People come and bring the instruments they don’t want here and we sell them,” Nathan told the News. 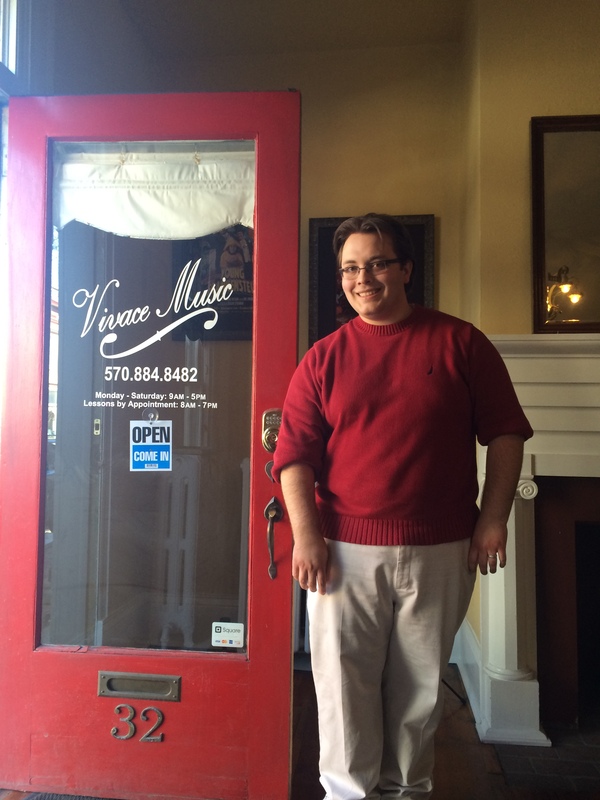 Vivace Music is open Monday to Saturday 9am-5pm and located at 32 Main Street. There is a grand piano inside the store for lessons and recitals used that costs $12,000! People seemed happy at the news of a new music store. This entry was posted on March 6, 2015 by Hilde Kate Lysiak and tagged hilde lysiak, new music store, Orange Street News, selinsgrove, vivace music.